Dr. Sigmon grew up in Westtown, NY, and moved to North Carolina to attend UNC Greensboro where she earned a Bachelor of Arts in English and Political Science and a Bachelor of Science in Biochemistry. She knew she needed a career that was fulfilling yet helped people feel good about themselves, and couldn’t think of a better way to do that than by restoring their smiles. After attending UNC School of Dentistry, Dr. Sigmon did a general practice residency at UNC Hospital. While in residency she worked with medically compromised and special-needs patients in both routine and emergency situations. This gave her the opportunity to refine her skills in delivering compassionate care and excellent customer service. After completing her residency, she worked in as an associate in private practice and public health. 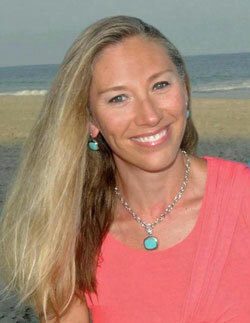 As a provider, she is passionate about restoring her patients’ self-esteem. Outside of work, she enjoys spending her free time with her husband, son and dogs, working out, and doing DIY home projects. We are here to change the face of dental care throughout Garner and the Raleigh area. Our team is knowledgeable and well-trained in the latest dental services and technologies. White Oak Family Dentistry has devoted its facility to protecting and preserving healthy smiles. It is not all about your teeth, it is also about your experience in our office. We make sure you always leave us feeling refreshed and ready to greet the world. Our office realizes the potential dangers of missing necessary dental appointments, so we make sure you are as happy to see us again as we are to see you. It will not matter what your teeth look like if they do not feel right. Our job is to restore your confidence in your smile as well as your dental hygiene. Our dental services keep patients confident in dental aesthetics as well as the overall oral health and that is the mission at White Oak Family Dentistry. Your comfort and convenience at our office is the start to your pleasant dental care appointments that will keep you and your family coming back for years. Our genuine concern for the well being of our patients and their oral health is obvious in the way we care for their dental needs. White Oak Family Dentistry has a team of specialists waiting on your call. A friendly staff member will answer and quickly get you squared away. Our team looks forward to meeting you and your family, and establishing a lifelong friendship. This relationship keeps you experiencing stronger teeth and gums and smiling ear-to-ear. Feel free to reach out to us for a quality dental service appointment. Next time you are in the area, you can even stop in to schedule your dental care appointment.